Plot Summary: The protagonist, Masaru, has just inherited a big fortune after the death of his father. However, people are trying to get their hands on it by any means necessary, even if it means killing him. Narumi helps Masaru from being kidnapped after fighting strange figures. He finds out that they're not humans, but wooden puppets with amazing strength. After a hard fight, Narumi is forced to admit that he's no opponent for them; and just when he starts to think that Masaru will be captured, Shirogane, Masaru's watcher arrives from France with a weapon, the puppet Arlequin. 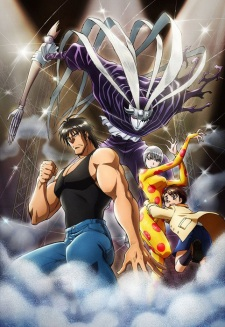 Here begins the story of Karakuri Circus.